Febreze solves the problem we weren’t even aware of: that we’ve become “nose blind” to offensive smells because they are a steady part of our daily lives. The way that Jesus loved us and gave up His life for produced a fragrant scent that God could detect. His olfactory receptors must be way more sensitive than ours. But just because we can’t detect our life scent doesn’t mean it isn’t there. How we go about our days produces a certain sort of fragrance, either good or bad. Now, I’ve not been around an actual zombie, but I’m guessing they have a rather unpleasant odor—all that decaying flesh can’t smell good. Likewise, I’m guessing spiritual zombies have a certain sort of stench too. Fading faith can’t produce the sort of fragrant scent that is pleasing to God. Faith that is alive and growing is full of self-sacrificing love, just like Jesus. 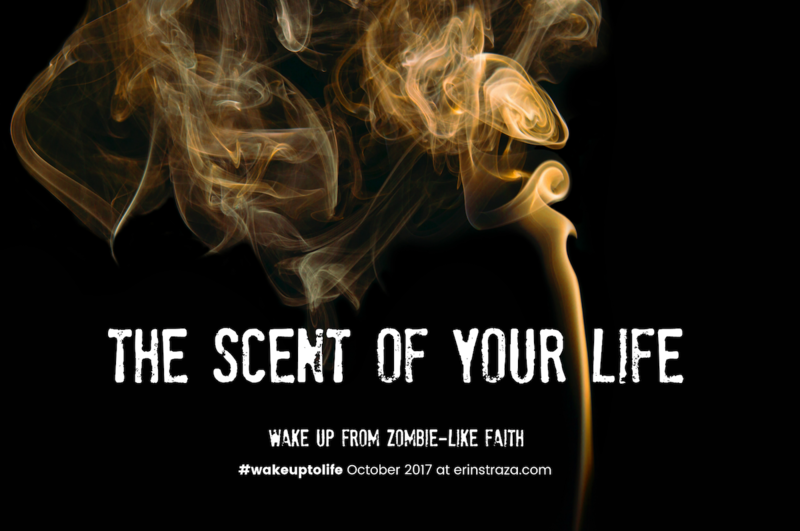 What sort of scent is your life producing these days?